Like artists in other disciplines, Tom enjoys every aspect of the creative process. 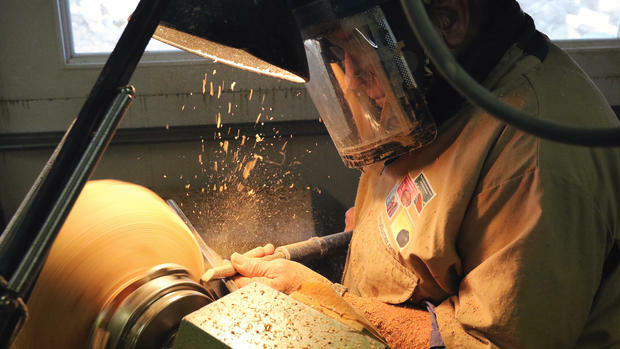 He finds fulfillment in creating a piece as naturally as possible and letting the medium talk as well as enhancing the artistic process by combining lathe turning and hand carving. Working from single carefully chosen pieces of wood emphasizes the natural grain and interplay of heartwood and sapwood. There are some objects easily identified as art. They are created to be observed and appreciated for the emotions they evoke. As a wood turner, Tom must use his imagination experience, ability and tools to free amazing objects, giving life to his creativity and a block of wood.